I had a monumental goal at the beginning of the New Year—read through the whole Bible chronologically. I’ve done it before, but as winter dragged on forever, I got bogged down in the Law. That’s how I ended up being in the Psalms in April. When I came to Psalm 136, I saw the italicized words and (oh yeah), the repeating chapter. There it is, every verse from one to twenty six. I read it, deleting those words to see the continuity of the whole story. There is no mention of who wrote Psalm 136, but it’s all about praise from creation of earth to bringing Israel out from slavery from Egypt. That’s what the Message says. From beginning to end, he never quits. He has his eye on us from the beginning, and he will be the King of all at the end. This week the world is upside down once again. 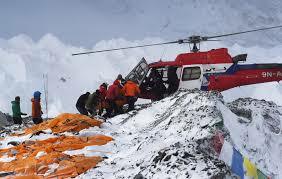 Earthquakes in Nepal, leaving 4,400 people dead, and men died from the earthquake-avalanches on Mr. Everest. At home, violent anti-police riots in Baltimore continue as I speak. Will we never understand, this is not the way to peace? The mercy and love of God is not to be compared to what man gives. No, there’s not much mercy from our fellow mankind, and there’s more self-love than true love. And there are those who work hard to snuff out the light in the world. Those truth words coming from God are thought ancient and irrelevant now. Truth is; mankind is out of touch with the real truth. 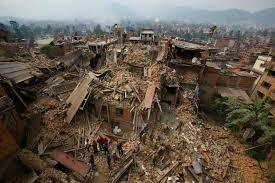 So on and on, hard things happen and man keeps blaming the God of Creation for letting it, instead of searching for him. It doesn’t matter what man thinks. Man is so small…but so loved! God has a plan of love and mercy, which he put into place in the ancient times, and it is being carried out. It is neither irrelevant for our times, nor hard to understand. It is the fool who says there is no God. Beautiful Diane! I love the juxtaposition of tragedy and merciful love. Our God is good and omnipotent. There is nothing He can’t do. There is nothing He can’t turn into good. There is nothing and no one H can’ use in expanding His kingdom on earth. The enemy of our souls seeks to destroy. God’s mercy and grace, wrapped in His perfect love, will overcome every attempt to thwart His plan. Thank you for yr sensitive spirit and using your gift of words. Heather, thanks for the encouragement. I’m sure you feel as I do sometimes–is anyone reading my blog or does it even encourage anyone? We are vulnerable for the world to see ( or ignore) and sometime we wonder if it’s worth it. Thanks again Heather.